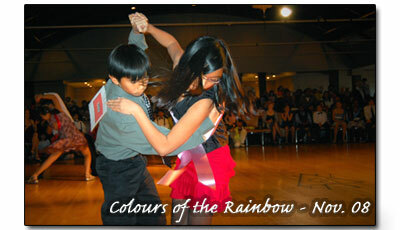 To learn more about Dancing Classrooms click here. Nestled on the shore of Lake Ontario rests the historic Palais Royale. Originally opened in 1922 to coincide with the opening of Sunnyside Amusement Park, the Palais grew in popularity and made its mark on the nightlife of Toronto with no slowing down even in the recession. In 1932, Bill Cuthbert & George Deller took on the Palais intent on establishing a world class Swing Jazz venue on Toronto’s waterfront. They brought in the most popular artists of the day and they regularly filled the Palais’ 1000 capacity 6 nights a week with a crowd of 3,000 turning out in 1933 for the celebrated Eddy Duchin Park Central Orchestra from New York. At the height of the Big Band era, headlining acts such as Duke Ellington, Count Basie and the Glen Miller Orchestra thrilled the many thousands of Canadians and their visitors who came from far and wide to experience the ballroom’s extra-ordinary ambience and elegance. Today, the Palais has been restored to its former glory, and more through the tireless efforts of the Pegasus Group, the Borg Entertainment Group and the Dagonas Family, who are the new partners of the Palais. Their innovative fusion of old and new has been affected with a subtle brilliance to assure the untarnished history and beauty of one of Canada’s oldest ballrooms. While the partners claim that there still is much to be done, the wonderful restoration of this historical landmark including the breathtaking balcony and terraces overlooking the lake is being met already with overwhelming appreciation by young and old. Now, Big Band music as well as contemporary R& B, and urban music are part and parcel of the Palais as it plays hosts to an eclectic range of events including corporate conferences, charity functions, weddings, and, of course, traditional ballroom dances. 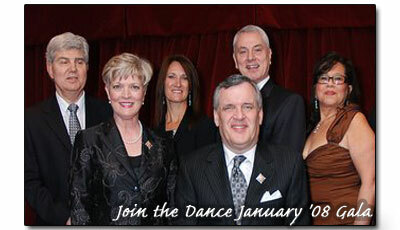 Added to that, the partners of the Palais in March 2007 committed themselves to supporting Toronto’s Dancing Classrooms™ (of Mad Hot Ballroom & Take the Lead fame) and Join the Dance (Canada). And so, another chapter has been added to the glorious and unique history of the Palais with the infectious laughter and joy of hundreds of 10 – 12 years old as they Rhumba, Tango, Waltz and Merengue proudly across floors that hold imprinted memories of thousands of other feet that once joined in the glory of the dance. We will come to YOU also. Let us bring the Art of Entertainment to your business. Our team looks forward to serving you, here or there. The Pleasure will be all ours!